Easter is already upon us which means that it is only three weeks until Record Store Day 2016! We can hardly wait until RSD on April 16th. We will again be hooking up with Mark Wills at our local independent store Hundred Records in Romsey to celebrate all things vinyl. We are delighted that our favourite turntable manufacturer Rega is sponsoring again this year. The Rega 2016 RSD turntable is a real work of art, literally! 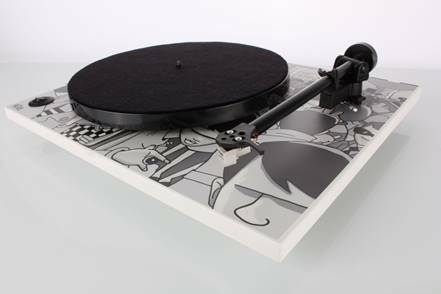 Designed by Sheffield artist Pete McKee, only 500 of this beautifully adorned RP1 turntable will be manufactured making it a must have collectible work of art with the bonus of also being a great sounding record player! Watch this space for further details of RSD 2016 and don't hesitate to contact us if you would like to reserve your own piece of Rega art! We will have some of these very exclusive Rega RSD turntables for sale on April 16th but don't wait too long or you might be disappointed. These beauties will be snapped up by art collectors and music lovers in no time!